Sometimes if something is already the best the only way to beat it is having two of those best things together but in this case it’s different, I know a lot of Filipinos love this amazing fruit shake but I found something better when I visited Indonesia ages ago. It is also an avocado shake but with chocolate syrup drizzled all over, the Indonesians calls it the Jus Aplukat. In a sauce pan combine all chocolate syrup ingredients together, place in low heat and simmer until chocolate syrup is thickened. Set aside and let it cool. Place avocado flesh in blender together with all Avocado Shake ingredients. Blend until smooth. 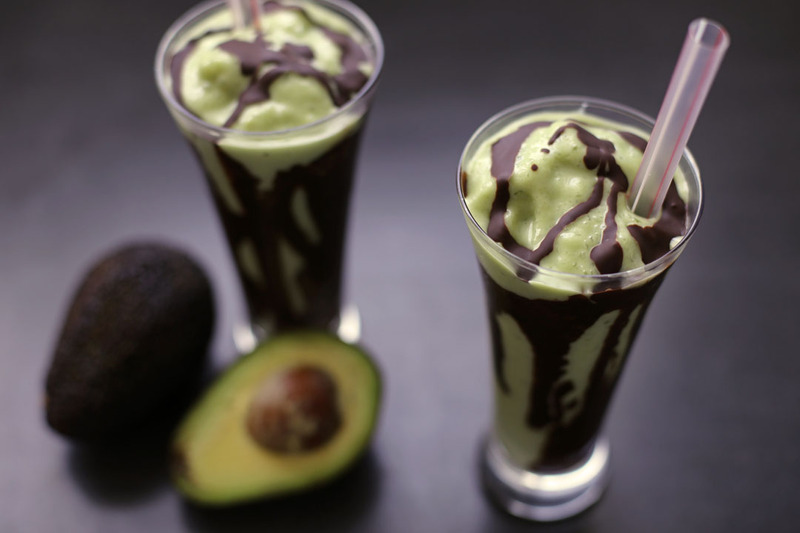 Pour avocado shake in a glass then drizzle chocolate syrup on top. 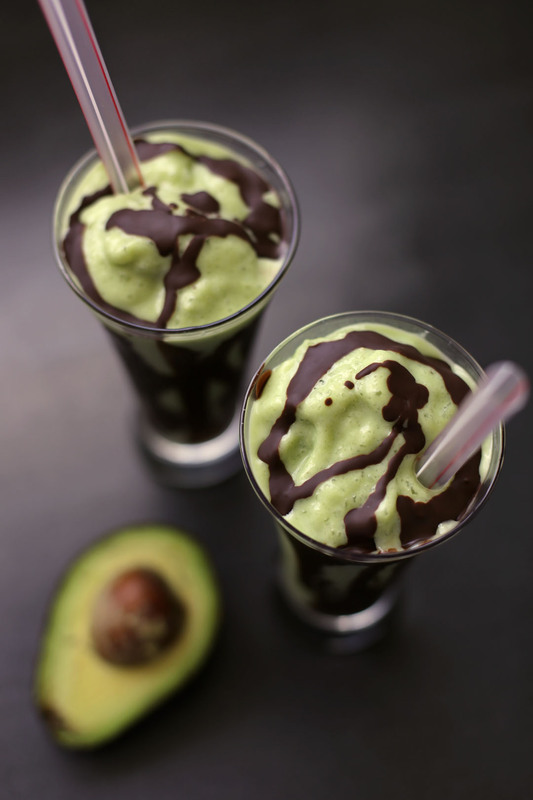 Great idea adding chocolate syrup to an already yummy avocado shake! Very nice picture! And terrific looking shake — great way to use avocado. Thanks. It does look very good – Raymund. This is so interesting- I’ve only tried avocado in savory dishes. I love the flavour of creamy avocado in a delicious smoothie style drink. Never tried it with choc syrup before, so I’ll need to indulge next time I want a not-so-guilty-treat! O.K. – I’m sold! I’ve seen quite a few avocado smoothies recently, but this shake has finally convinced me to this a try. Aside from the pictures being convincing, once I saw it had condensed milk, I knew I’d love it!